Tyler is entering his fifth year working as a salesman for McCoy Roofing. 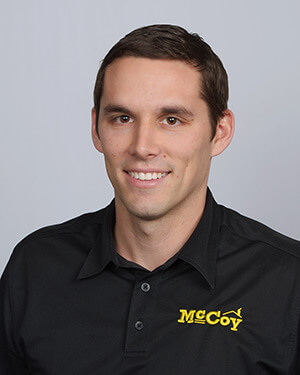 Tyler moved to Omaha in 2014 from Missouri to begin work with McCoy Roofing. He recently got married in 2017 and they currently live in West Omaha. Tyler played college baseball in Mississippi. He loves going to baseball, football, and basketball sporting events. Tyler also enjoys traveling, family time, and being outdoors with his wife.